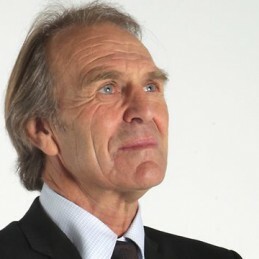 Graham Cornes OAM has spent his life in Australian Rules football as both a player and coach. In 2012 he was inducted into the Australian Football Hall of Fame. Cornes played 390 games with Glenelg, South Adelaide, North Melbourne and South Australia. A brilliant coach, he had stints with Glenelg, South Adelaide and South Australia. Four times he was selected as an All-Australian team, twice player and twice coach. Cornes was the inaugural coach of the Adelaide Football Club, spending four years (1990 – 1994) with the club. He is the most successful State of Origin coach and received the medal of the Order of Australia for services to football. Balancing between a career in football and the private sector, Cornes was the dealer principal of multiple automobile retailers. Cornes has spent 23 years as a radio broadcaster. For 18 years he has been the co-host of Australia’s most successful sports talk and radio programme on FIVE aa, consistently number 1 in Adelaide, beating popular syndicated national programs. As a young man, Cornes was drafted into national service. He spent two years in the Australian army and did a tour of duty in 1970 as an infanty soldier in South Vietnam. Speaking on topics of the principles of leadership, motivation and inspiration Cornes shares with audiences the three most important components of achievement and success. Supported by audio visual (if required), he peppers his presentations with anecdotes, both serious and humorous. Cornes is an in-demand speaker and is always well received.